As I think you can tell from past projects, I love distressed wood. 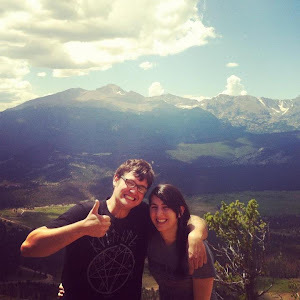 We were also recently given six jars of apricot jam in mason jars. Thanks to some hungry roommates, three of them were emptied pretty quickly. I of course was holding onto the jars waiting for the right project. 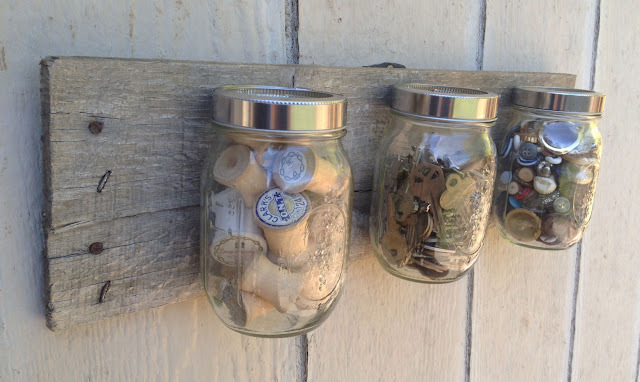 Then I saw this on Pinterest, the perfect project. So, ideally, I will eventually turn this into an herb garden. Easily accessible fresh basil is a dream of mine. But I'm waiting on the other three jars and some tips on growing herbs from my mom. So for now, it will be a craft supply organizer, because you can never have enough places to store buttons if you're a crafter. 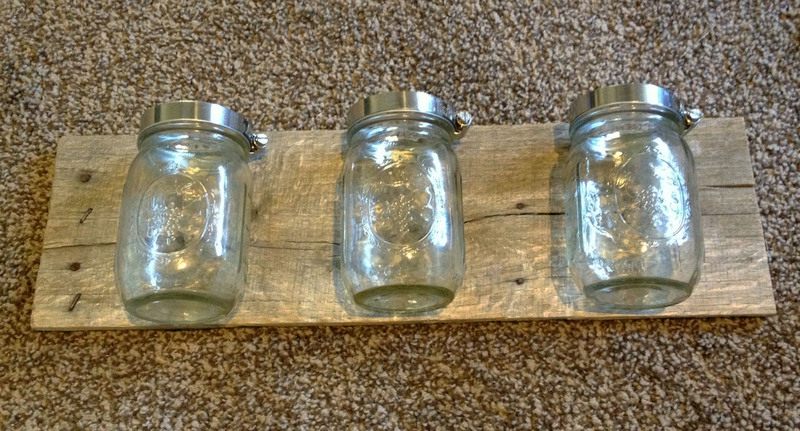 Supplies: A piece of wood, mason jars, metal pipe clamps (found at any hardware store), a drill and three screws. 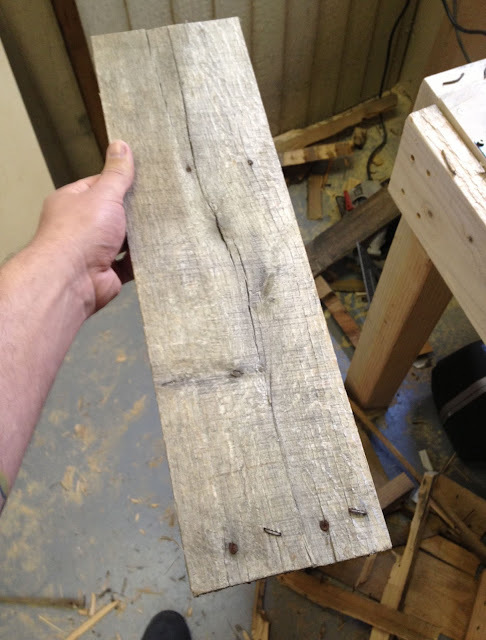 You'll first want to cut the piece of wood to size if it's not already. Ours is 19 inches long. To be honest, I have no idea what Chris is doing in this picture, but the sparks looked awesome, so I kept it in the post. When you have your piece of wood cut to size, lay out where you want your jars. Ours are about 2 or so inches apart. 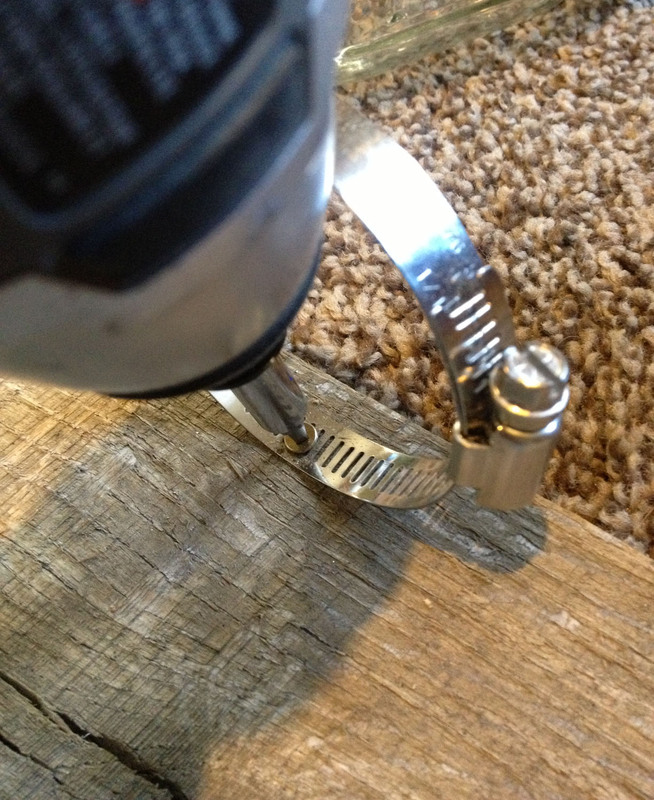 Then you'll want to adjust the clamp so it fits tightly around the lip of the jar. We kept the metal rim part of the lid on the mason jars so they'll be able to screw off easily. You'll see what that looks like later. Before attaching the clamps, loosen them a bit so you'll be able to put the jar back in. Position the clamp so that the screw can go threw one of the cutouts rather than the solid metal, like in the picture above. 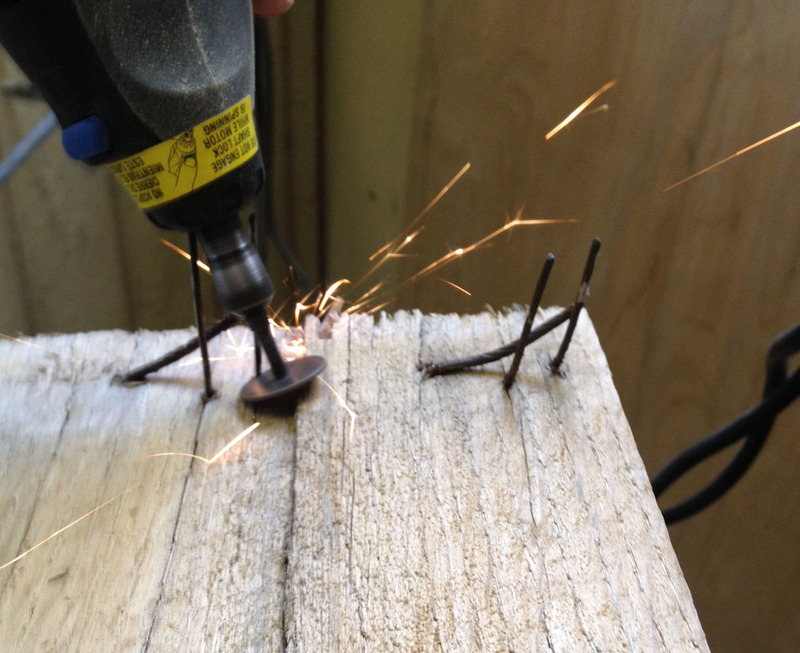 When all of the clamps are attached, add the jars and tighten the clamps. 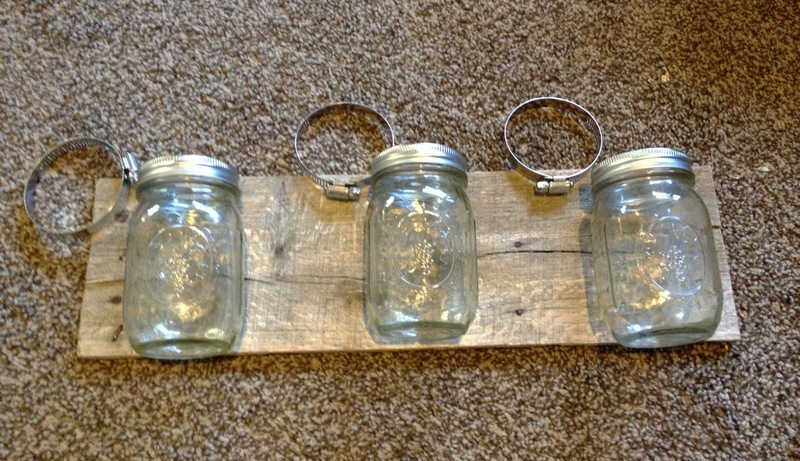 There you have it - a mason jar organizer. It's stylish and useful, which I love. 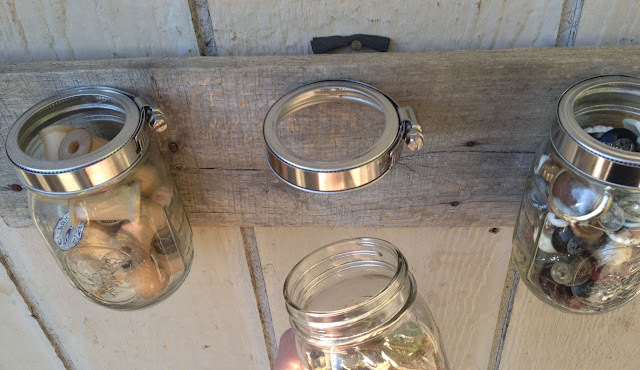 See how keeping the metal rim from the mason jar lid makes the jars easy to remove? This is great for quickly emptying and refilling the jars. How do you stay organized? Also, if you have any indoor gardening tips, please let me know and help me make my dream of fresh basil a reality! We always have pots of herbs on our deck every summer. Basil, parsley, rosemary, oragano and sage. You don't have to grow them from seed if you don't want to, you can buy a small plant and pot it. You might want bigger jars though - not sure those are big enough. 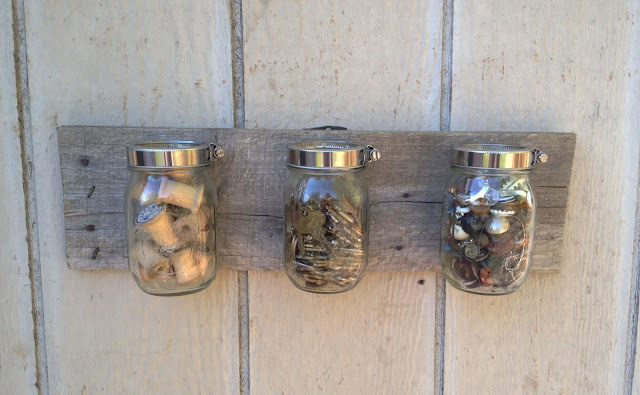 You can also cut stocks off of it and hang them upside down to dry for the winter. In the meantime, cut idea. I've seen things like that on Etsy, only the jar is vase.